A Great Day Begins With A Great Night's Sleep! TRUZzzz‘s – Relax and gently float away on a cloud of restful healing sleep. Now You Can Sleep The Night Away! Now You Too … Can Sleep Like A Baby! Have you ever watched a baby sleeping peacefully? When they wake up aren’t they just raring to go and begin their day (and yours)! When was the last time you had a really good night’s sleep like that? If you had to stop and think about it then you are among millions of others who don’t get a proper night’s sleep either. What are some of the things that are keeping you awake at night? Do you toss and turn vainly searching for that ‘perfect position‘ to enable you to relax and slip into dreamland? Does your mind race with worries or ideas while your body is begging for rest and calm? Do you have a high pressure career that has you on the go causing you to have to grab some sleep at odd hours? 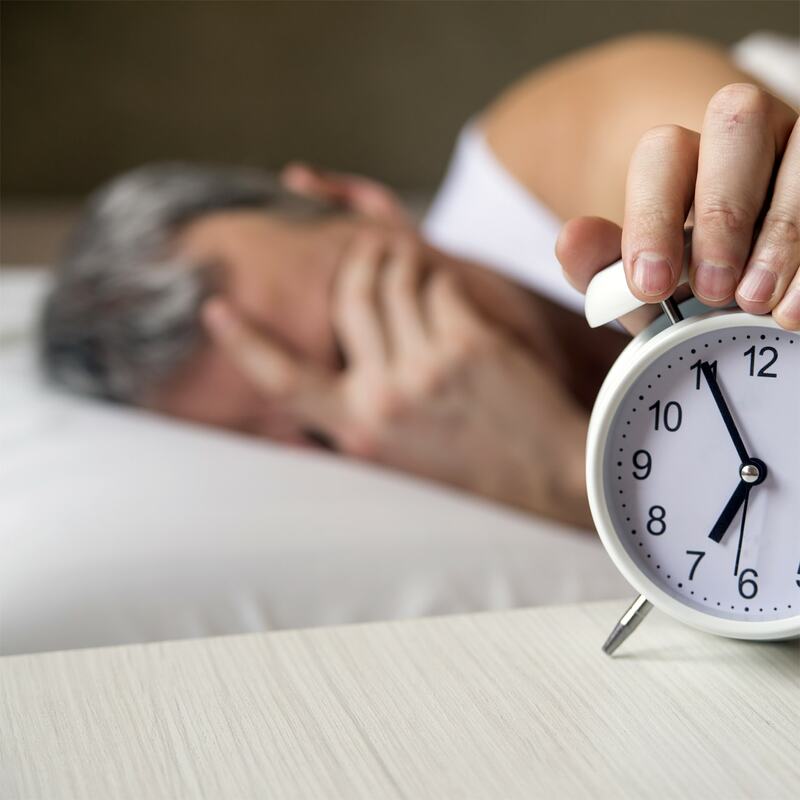 Do you wake up feeling more tired and drained then when you went to bed? Do you work as a shift worker and find it hard to fall asleep during the day? Would you like to win the fight against sleeplessness and have a completely NATURAL way to get a restful and restorative “TRU” sleep? If you said yes, then TRUZzzz’s can help ease you off to dreamland as you gently float away on a soft fluffy cloud! Nights Of Counting Those Noisy Sheep Are Gone! An important question to ask is … just how essential is it for you to have a full night’s rest? Having the proper AMOUNT and QUALITY of sleep is extremely important for your continued good health. It helps your body and brain function properly and lessens the risks of such things as Alzheimer’s disease, stroke, heart disease, diabetes and obesity. Giving your body time to ‘relax, rest and recharge’ throughout the night, or the day (depending upon your circumstances); enables your brain to work better by helping to improve learning ability, memory, decision-making and creativity. Proper restful sleep can also help to reduces or can eliminate stress related symptoms associated with anxiety, insomnia, OCD, depression and many others. How can TRUZzzz’s can help you gently fall asleep? I’ve tried all of these that I’ve marked. They all work great for me. I can’t say they will for everyone. I started taking my TRUFORMULA and they worked so good for me I got off Metformin. That Medicine was really bad and wasn’t doing me any good. Since I’ve been on TRUFORMULA my blood sugar count has been so much better. Now about TRUBRU, It’s the best tasting coffee I’ve ever had. No more bitter taste for sure. TRUlyPUR is great also. I use it every day now in my water. And last the TRUZZZZ. These help me sleep better than ever. I have sleep Apnea and believe me it’s great to sleep good finally. 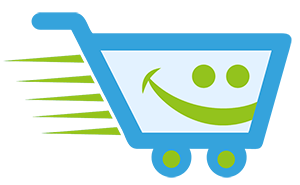 I’m a TRU member now because, I believe in these products because, I’ve tried them and know they work. God bless Mark for starting this company. 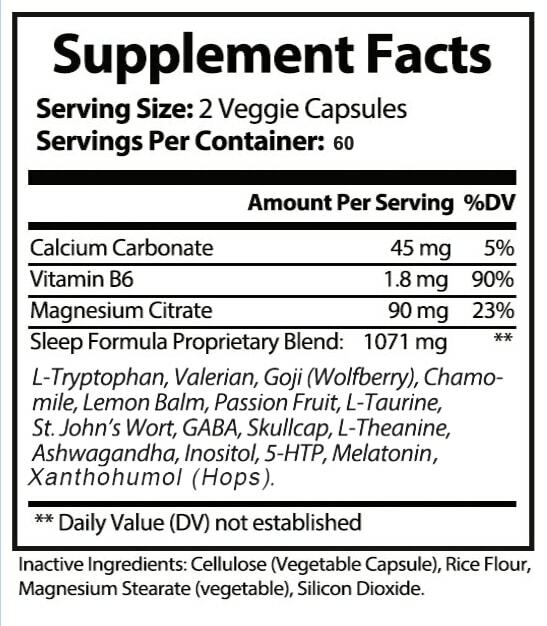 I have been using TRUZzzz to help me sleep at night, and prior to using this I was taking 10 mg of Melatonin per night. When I started with TRUZzzz I started with one capsule, and have not had to increase at all. I find if I take it 1/2 hour before bed it helps me to fall asleep fast and stay asleep all night. I don’t wake up fuzzy, I am clear headed and feel well rested and ready for my day. Love this product. Thanks TRUMARTS. Q1: When should I take TRUZzzz’s? A: For best results take two (2) capsules 20-30 minutes before bedtime with an 8 oz. glass of water. A: No. Due it its unique formulation and special blending of ingredients it is non-addictive and safe to use. Q3: Can children use TRUZzzz's? A: As when taking any type of medication it is always recommended that children under the age of 18 should be supervised by a parent or you can consult your health practitioner. Q4: What is REM sleep? A: REM (rapid-eye movement) sleep is one of five stages of sleep which we repeat several times a night in a proper sleep cycle. It is during REM sleep where most people dream and it is thought by some to be a very important role in our mood, memory and how we learn. When you reach true REM sleep you will find yourself waking up feeling more refreshed with a sense of well-being. One reason for this is because you have uninterrupted sleep your brain is able to detoxify and remove harmful neurotoxins such as beta-amyloid peptides that are responsible for various brain diseases such as Alzheimer’s. Q5: What is Taurine and how does it work? A: Taurine is an incredible conditional amino sulfonic acid, a required building block of protein, that is naturally found in large amounts in our brain, retina, heart and blood cells. As a nootropic, taurine raises the chemical transmitter GABA which has a calming effect on the body’s nervous system. This reduces anxiety and stress hormones and helps to promote sleep and relaxation. If we want our bodies to function properly we need to have the proper amount of taurine either through our diet or quality supplements. Studies have showed those with higher levels of taurine in their bodies live a longer and healthier life due to its amazing healing properties to guard against damaging free radicals and toxins. As we age we tend to make less and less of this amino acid and so it is very important to replace it. Research has also shown that taurine can help lessen the damaging effects of fat, glucose, and excess insulin. It can also strengthen and protect the heart muscle cells and the blood supply system helping to protect against atherosclerosis, heart attacks, strokes. Along with many other benefits taurine helps to protect the liver, vision and hearing (tinnitus). Q6: What is a ‘conditional amino acid’? A: A ‘conditional amino acid’ is something that is made naturally by our body whereas an ‘essential amino acid’ is not. That is why it is important to supplement certain vital amino acids in your diet to help promote and maintain a healthy balance to your well-being. Q7: What are Goji Berries and their benefits? 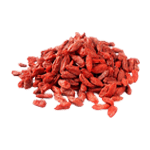 A: Goji Berries, also known as the ‘Happy Berry’, are native to China and Tibet and has been used traditional Chinese medicine for over 2,000 years. They are considered a superfruit and has high levels of nutrients, anti-inflammatory properties and is a potent source of antioxidants. This amazing berry doesn’t just taste great, but it is incredibly high in protein, and contains more than 20 vitamins and minerals. Various studies have shown it to increase the quality of your sleep and the ease and sense of well-being when you wake up. It has also been effective on improving and promoting a higher ability to focus and understand, calmness, feelings of health, contentment, happiness and significantly reduced fatigue and stress. They have also been used traditionally to help fight against depression, anxiety and other types of mood conditions. Used along with the other ingredients in TRUZzzz’s it has a wonderful balancing affect on your body, mind and spirit! A: Myo-inositol, commonly known as ‘inositol’ was previously classified as part of the B vitamin complex known as B8. Now it is known that this ‘simple’ alcohol carbohydrate is more closely related to glucose and is responsible for being one of the key secondary messengers in the brain for helping to balance, among others,the neurotransmitters dopamine and serotonin. Since your brain is the ‘control center’ for your body, it is responsible for a lot of things including ‘talking to’ and balancing out the chemicals (like GABA receptors) connected to your sleep patterns, stress, anxiety, regulating emotions and cognitive activity. 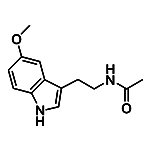 Inositol, for example communicates with the chemical Dopamine, and they work together to balance and naturally ease your mind and increase your overall feeling of pace and contentment. This relaxing effect makes it much easier for you to de-stress and be able to get the deep sound sleep you need. A: Melatonin, a potent antioxidant and anti-inflammatory hormone mainly produced by the pineal gland, is often linked with sleep and has been called by some, the ‘sleep hormone’. It is melatonin that controls the sleep-awake cycle that helps us to go to sleep quicker, longer and deeper and helps us reach REM sleep which is vital to our health. Those who have lower levels of melatonin in their body find it difficult to sleep and suffer from conditions such as insomnia. Interestingly, it is during the nighttime hours that there is 10 to 15 times more melatonin in the blood which helps to make deep restful possible. Melatonin is also of great benefit during the day as it protects nerve cells and has an antioxidant effect in the brain, spinal cord, optic nerve, as well as helps to control levels of insulin. Q10: What is Chamomile and what are some of its benefits? A: The chamomile plant is in the daisy family and is native to Western Europe and Northern Africa. Many people use chamomile tea at night to help them rest and relax. 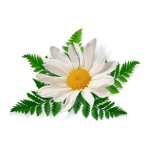 The reason chamomile is so effective is that it is regarded as a natural mild tranquilizer and sleep inducer. The ‘sedative-like’ effect may be due to the flavonoid apigenin that binds to the benzodiazepine receptors your brain. TRUZzzz’s has incorporated the restful properties of chamomile and GABA. These natural herbs and amino acids have anti-anxiety properties that greatly helps your ability to relax and reduce stress; improving the quality and quantity of your sleep. Q11: What is GABA (GAMMA-AMINOBUTYRIC ACID) and what can it be used for? A: Simply put, GABA is an aid to help relax the mind and body which is great because so many conditions are directly related to an overload stress and anxiety. GABA is one of your body’s main neurotransmitters that is produced naturally to help calm your central nervous system and promote healthy relaxation. The use of GABA have proven to be very effective in treating depression, anxiety, insomnia, improve mood, reduce symptoms of premenstrual syndrome (PMS) and attention deficit disorder (ADHD). Q12: What are the benefits of Passion Fruit? A: Because passion fruit mildly depresses the central nervous system, it has a sedative-like effect, relaxing the body to help it ease into a natural and healing night’s sleep. It can also help prevent or ease muscle spasms even for those who suffer from migraines and high blood pressure which can keep many awake at night from pain. People tend to feel ‘down’ when levels of GABA (amma-aminobutyric) that are found in the brain are low. 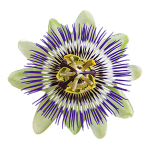 Passion fruit also increases levels of GABA naturally and those who suffer from anxiety, depression, mood swings, feelings of anger, ADHD, PTSD and insomnia have found relief. Q13: What is Xanthohumol (Hops)? A: Xanthohumol (Xn) (Hops) is a bioactive flavanoid antioxidant molecule found in the flowering Hops Plant native to many parts of Europe. 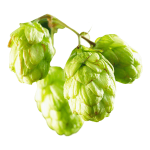 Hops has vitamins C, E and B6, which have powerful antioxidant properties that can help protect your body from disease, boost your immune system and slow down the aging process. There is also growing evidence to suggest xanthohumol may bind to GABA receptors in the brain to help induce relaxation and decrease stress. This means that those who suffer from insomnia, stressed muscles, stiff joints, spasms and twitching can find relief and have a better and refreshing night’s sleep. 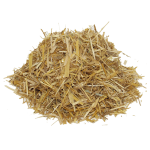 Q14: What is Oat Straw (Avena Sativa) and some of its benefits? A: Oat straw comes from green oats of the Avena sativa plant and is rich in minerals and trace nutrients such as silica, magnesium, phosphorus, chromium, iron, calcium, alkaloids, protein, the vitamin B complex, and vitamins A and C.
The properties that are found in Avena sativa have been used in balancing endocrine function, and supporting the nervous system. This means that those who suffer from anxiety, stress, depression, overall tension and insomnia can benefit greatly because it soothes and strengthens nerves. Q15: What is Valerian root and its benefits? A: Valerian is native to Europe and parts of Asia and lives up to its Latin meaning to be strong and healthy. Valerian has been used for centuries in naturally aiding people who suffer from insomnia, nervousness, tension, stress, menstrual cramps and high blood pressure. 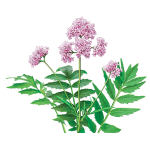 Because Valerian root contains volatile and less volatile valerenic acids, sesquiterpenes, and valepotriates, it produces a calming and restorative effect on the body’s central nervous system. Q16. What is St. John’s Wort and some of its benefits? A: St. John’s wort is a small but powerful flowering plant that grows wild in Europe, but has since spread to the Americas, Russia, Asia, China, and the Middle East. It contains a rare combination of antidepressant chemicals that inhibit or delay the reuptake of certain neurotransmitters like serotonin, dopamine, and norepinephrine. 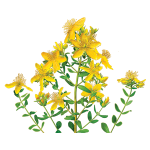 St. John’s wort can be shown to be able to help regulate the hormonal balance in the body and thus has been very effective in easing depression, anxiety, sleeplessness, mood swings, and chronic fatigue. Due to its being able to lower inflammation it helps in lowering blood pressure and can decrease the stress on the heart. A: 5-HTP is a natural mood enhancer used to promote feeling of calm and relaxation. For those who suffer from anxiety, stress, depression, pain due to migraines, fibromyalgia, 5-HTP gives needed relief and helps get a better night’s sleep. 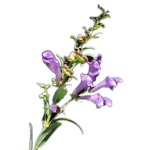 A: Baikal Skullcap is a powerful natural supplement and health promoter which has a rich source of flavonoids. It has been used for thousands of years in China for naturally treating various ailments without the unwanted groggy side effects of so many medications. Well known for its ability to soothe the nervous system, and leave you feeling refreshed and revitalized; it has proven to be extremely effective in bringing relief from anxiety, stress, insomnia, reduce inflammation. A: Ashwagandha, is a perennial shrub native to the drier areas of India and South Asia. It is an adaptogenic herb that is grown in all the parts of India. 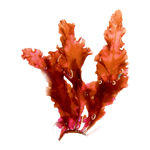 This remarkable plant has a combination of non toxic substances (amino acids, vitamins and herbs) that help balance your response to changing circumstances or stress in a healthier way. 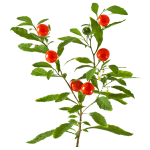 Ashwagandha, among other things, has proven to be of help to cope with neurological conditions related to stress, trouble sleeping, anxiety, joint pain and relieve adrenal fatigue. 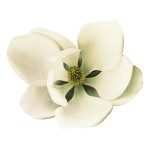 A: Magnolia, has an abundance of healing properties two of which are honokiol, which exhibits a desirable spectrum of bioavailability, and magnolol. Honokiol has certain anxiolytic qualities which directly impacts the hormonal balance in the body and acts as an ant-stress agent. By regulating the endocrine system, magnolia is able to reduce anxiety and stress caused by such things as depression and pain by soothing the mind and lowering hormone release in the body. Honokiol and magnolol also work together to block the inflammatory mediator substances reducing pain and making it easier for you to fall asleep. So those who suffer from fibromyalgia, arthritis and such things should have an easier time getting the rest they need. 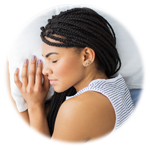 Relax, Renew, Revitalize … The Power Of Healthy Sleep! Serving Size: (2) capsules once a day. As a dietary supplement take two (2) capsules once a day. For results take 20-30 minutes before meal with an 8 oz. glass of water or as directed by your health-care professional. KEEP OUT OF THE REACH OF CHILDREN. DO NOT USE IF SAFETY IS DAMAGED OR MISSING. STORE IN A COOL, DRY PLACE. A Healthy Happy Waking Life Begins With A TRU Night’s Rest!